After 'no-ce.chansons.noce' and 'coincidence' comes now 'illusion', the 3rd album of Cécile Nordegg alias No-Ce. 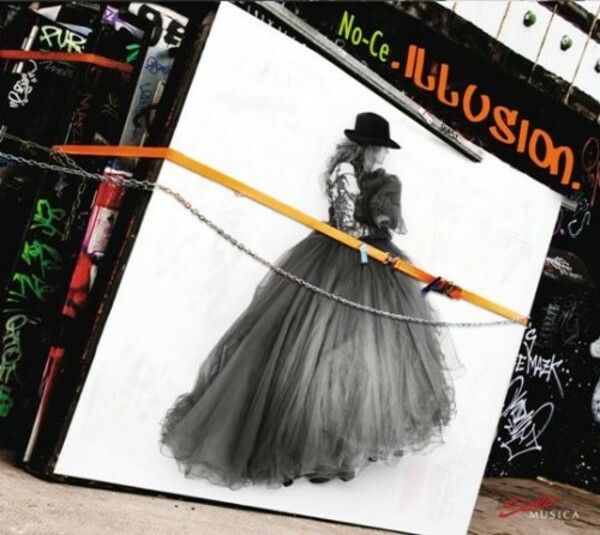 'Illusion' is a journey by songs through time, a journey through ancient and contemporary illusions, through yesterday and today. It is a compilation of German songs originally performed by Marlene Dietrich, Zarah Leander, Hildegard Knef and Alexandra; it also includes compositions by Kurt Weill. These revived songs are monologues of a woman who lives in a world of illusions. In order to break free from those false images, she generates new illusions and fantasies to travel in her own chosen world - a world of trilingual monologues that show various emotional states and sentiments, mirrored in subtle ways of expression and playing with the fine differences of the French, German and English language.